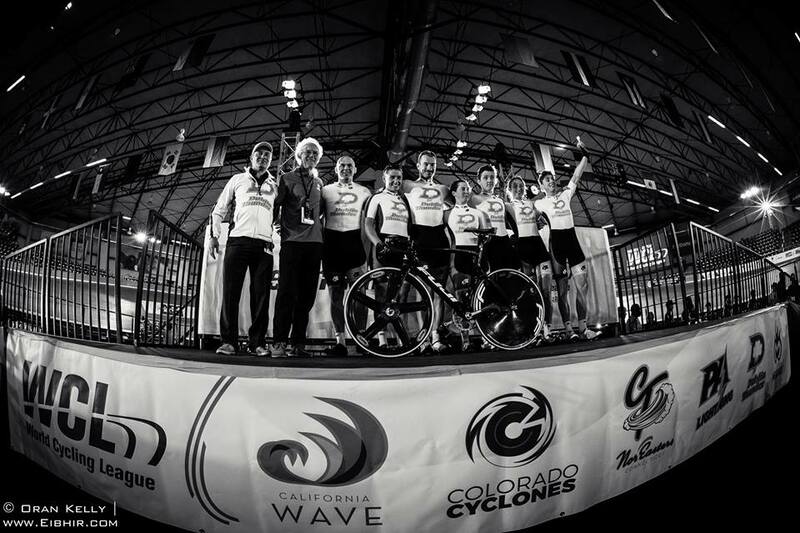 The seven-strong ‘Dublin Thunder’ team who represented Ireland at the inaugural World Cycling League in Los Angeles at the weekend have returned home after a truly memorable and valuable learning experience. 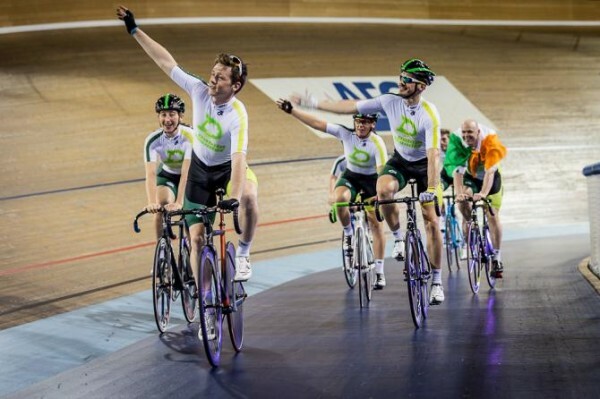 Thrown in at the deep end to compete against well-established track riders from the US and Mexico, the Irish crew of Lydia Gurley, Susie Mitchell, Eoin Morton, Eimear Moran, Fintan Ryan, Con Collis and Eamonn Byrne performed well in an extremely competitive environment. Over two days the team competed in three sessions; one on Friday and two on Saturday. Each session had up to 12 races – six for men and six for women – with the events ranging from short 500-metre sprints to longer 12km efforts. It wasn’t the start the Irish crew would have liked as track veteran Byrne took a heavy fall early on and suffered broken ribs, though to his immense credit he rode his entire next race and even managed to collect points. In that first session, former national junior road race champion Ryan performed well and took 12 points – even managing to eliminate multiple World and European champion Andreas Muleller. World Champs scratch race silver medallist Ignacio Prado of Mexico Heat set the pace there with a fine tally of 40 points. Others on the Thunder team to score were Gurley (6), Morton (5) and Byrne (3). Morton adapted particularly well and managed to lap the field in the points race in each of his three sessions. “We were last after that session but learnt with every lap that passed,” said Morton. 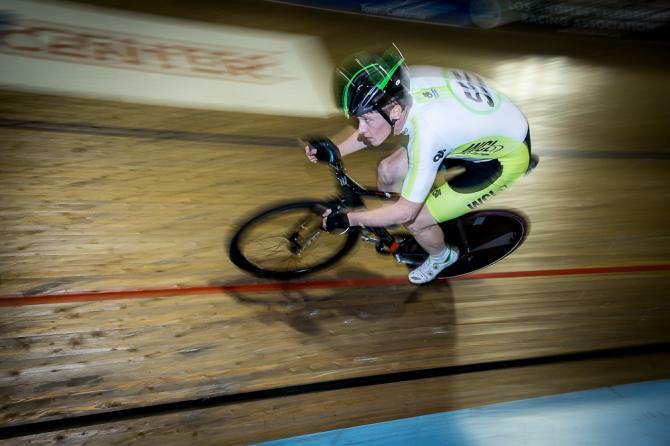 “It was the first bunch race on the indoor track for myself and Con and by the end of it we were in our element – especially in the longer races. “It felt great for me to take a lap on riders like Andreas Muller,” he said of the former Rás stage winner and ex-track world champion. Ryan and Gurley, despite results suggesting otherwise, were really on form that first night, taking the races to their more established counterparts. At the end of that first session the Thunder team had tallied a total of 26 points as Pennsylvania Lightning set the way on 104. For the Saturday afternoon session, Ireland took 5 points from a maximum 12 in race 2, that being the men’s 3,000m endurosprint. But the performance of the weekend came in the women’s elimination where Thunder took top spot through Mitchell. At the end of that session, courtesy of top placings in a number of races – as well as lapping the field in the points race, Morton was well up there with 11 points, Ryan on 9, Mitchell had 8, Moran had 3 and Gurley had 2. On Saturday evening, there were 12 more races and the Thunder team really began to adapt to matters, picking up points in the opening three events, the men’s and women’s 500m sprint and the men’s 3,00m endurosprint. 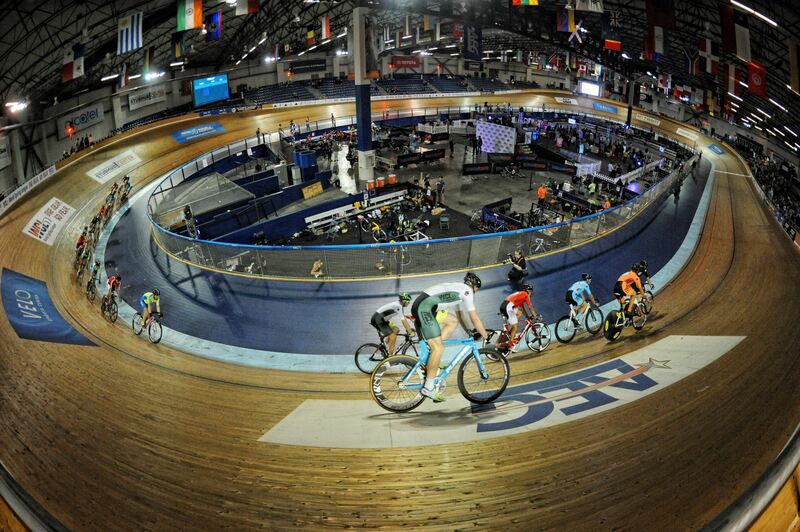 They wouldn’t score in the keirin events that followed but they were third in the men’s 5,000m endurosprint. Again, at the end of that session, Prado (Heat) led the way from Brown (Lightning) by 37 points to 33 with Eoin Morton putting up a fine display to accumulate 13 points. This came courtesy of him lapping the field in his race. Ryan acquitted himself well, taking nine points with Byrne and Collis taking four and three, respectively. Byrne and Gurley also claimed a couple of points each. By the end of that session Thunder had definitely shown vast improvement, though they were still sixth of the six teams on 33 points, some way off runaway leaders Lightning on 120. There are plans to expand the event next year and Morton said it’s something he’d be honoured to be invited back to. “It was an amazing experience and we got such a welcome, thanks to Ian Wogan and the Chauners (the organisers) who made it all happen,” said Morton. “It’s definitely one of the coolest events I’ve ever done. Okay, we didn’t win but we actually gained a lot of respect and acquitted ourselves and really learnt a lot.